Established in 1992, the Skin Cancer Center of Southeast Michigan, conveniently located near Novi, is dedicated to providing the absolute best care to its patients. We offer the best, most compassionate and cost-effective skin cancer treatment available. We use state-of-the-art technology to provide the best skin cancer treatment. Skin cancer is a serious disease, but is very treatable. In fact, it is one of the most easily treated forms of cancer. Here at the Skin Cancer Center of Southeast Michigan, we perform skin cancer treatment using the Mohs procedure. 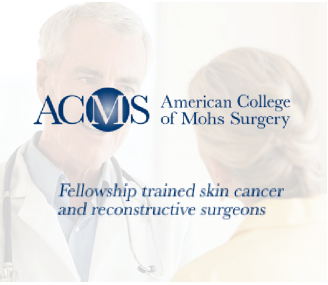 Mohs surgery is recognized as the most effective means of treating basal cell carcinomas and squamous cell carcinomas, which are the two most common types of skin cancer. Mohs micrographic surgery allows the surgeon to remove as many cancerous cells as possible while sparing healthy tissue, which offers exceptional cosmetic and medical results. Mohs surgery has the highest potential cure rate at 98 percent and a rapid recovery rate. We do our best to complete the treatment in a single session, but several sessions may be necessary. Mark A. Stiff M.D. is the lead surgeon of the Skin Cancer Center of Southeast Michigan. He earned his undergraduate degree from the University of Akron, completed three years of intensive surgical training at Akron General Medical Center, and completed his dermatology residency at Wayne State University. 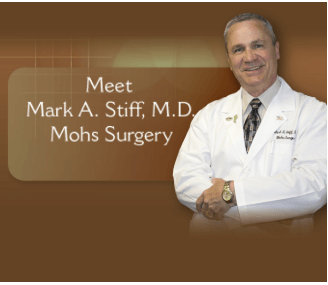 He obtained his Mohs surgical fellowship training from the University of Wisconsin, working with Dr. Mohs himself, and brought his expertise back to Michigan. He currently teaches residents in training at the Wayne State University Department of Dermatology. Dr. 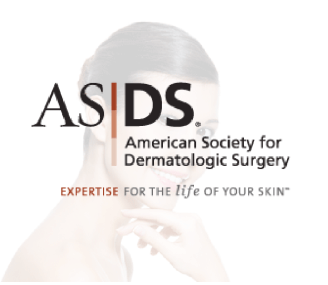 Stiff is certified by the American College of Mohs Surgery and a fellow of the American Society of Dermatologic Surgery. His other numerous professional memberships, certifications, and achievements are just one reason to trust him with your skin cancer treatment in Novi, MI. A diagnosis of any cancer can be very trying, and as such, we do our best to put our patients at ease before, during, and after the procedure. We are prepared to diagnose and treat all varieties of skin cancer. Our experienced and compassionate staff will make you feel comfortable and take care of you as quickly and efficiently as possible. When a patient arrives at the center, Dr. Stiff will evaluate them and discuss various treatments and diagnostics, including biopsy, Mohs surgery, standard surgery, non-surgical methods, excision of growths, treatment of sun damaged skin, and a cancer screening schedule and plan to prevent further damage.